Boncuklu Site – Auroch for dinner anyone? 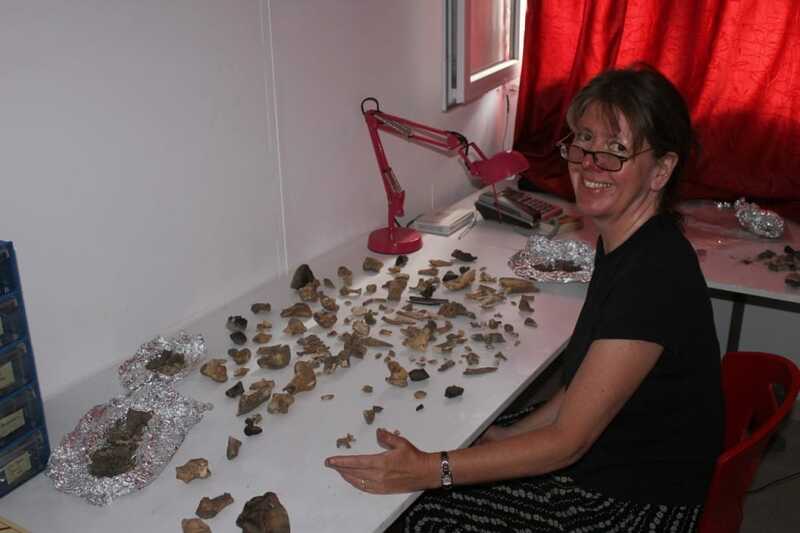 Caroline Middleton, one of the faunal analysis team at Boncuklu, is shown here in the lab doing preliminary work on one of the most interesting finds of the 2013 excavation season – a bone-rich deposit from Area P containing wild cattle and pig. 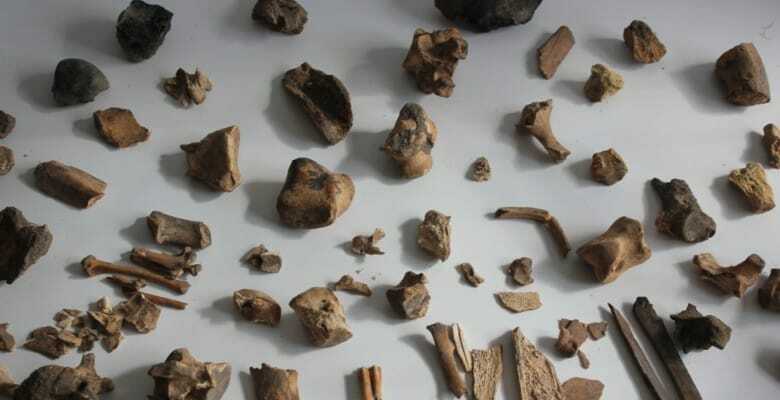 It is unusual to find such large fragments of bone at Boncuklu – most bones are smashed into small pieces. Given the presence of many burnt bones was it the remains of a special meal or a feast?